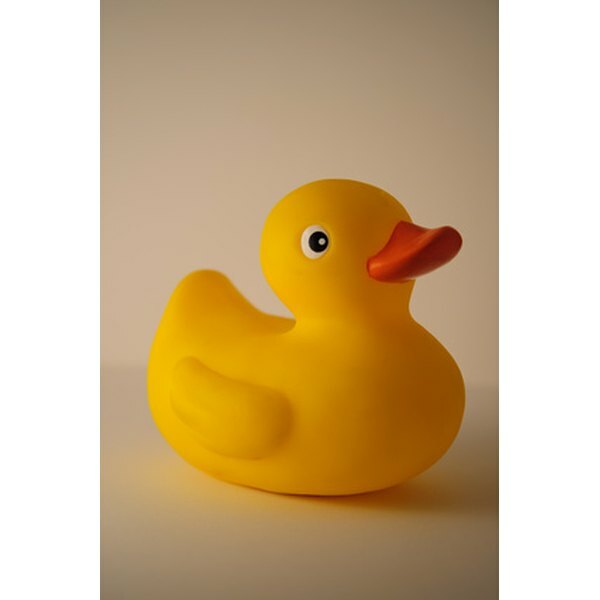 Play a guessing game with rubber ducks. Games are fun to play at a baby shower; this makes the party about having fun instead of just opening presents. 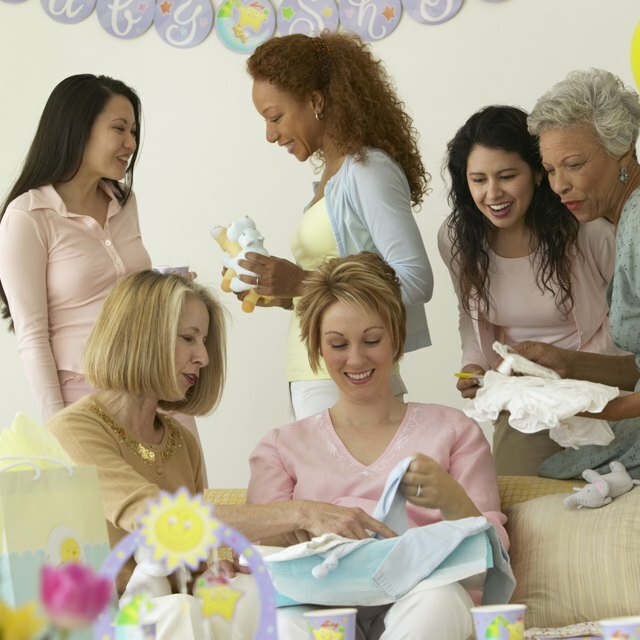 There are many rowdy or off-color baby shower games, but if you have a lot of older people at your shower, you may not want to play this type of game. Come up with a few sedate and tame games to play to accommodate them. Before the party, purchase enough rubber ducks for each guest. Write the baby's first and last name on the bottom of one duck, and write other first and last names on the bottom of the remaining ducks. Place all the ducks in a bowl or bucket of water. As the guests arrive, have them choose a rubber duck. To play the game, have each guest read the names on the bottom of their duck. Have them guess to find out the real name. The person with the correct duck and the people who guess the correct name get a prize. If you aren't sharing the name of the baby, simply have guests guess the gender. Purchase a supply of baby needs such as bottles, pacifiers, diapers and diaper rash ointment. Display the items to the guests and have them write down their guesses to how much the items cost. The person who comes the closest to the correct price, without going over, wins. Give the items to the new mom as a gift. This is especially good for older guests who like to watch "The Price is Right" and who may not have bought baby items in a while; the price difference may surprise them. A lot of older people enjoy playing bingo. Prepare bingo cards for all the guests; instead of numbers, write or have pictures of items the mom may receive as gifts at the shower. Include bottles, blankets, car seat and clothes. As the guest of honor opens the gifts, the guests mark down the items. The first person to get an entire row full, wins. You can have several cards for each guest, if you wish. Prepare a piece of paper for each guest with the names of grown animals on them. Leave a blank line next to each for the guests to write the name of the corresponding baby animals. Give the guests about five minutes to fill out the sheet of paper. The winner is the person who correctly fills out the most baby animals. Some examples are cow: calf, horse: foal, goose: gosling and frog: tadpole. The harder the animals, the more fun it is.